Bryan Hulbert - TULSA, Okla. (November 15, 2018) Racing at the Lucas Oil Chili Bowl Nationals presented by General Tire is the easy part. 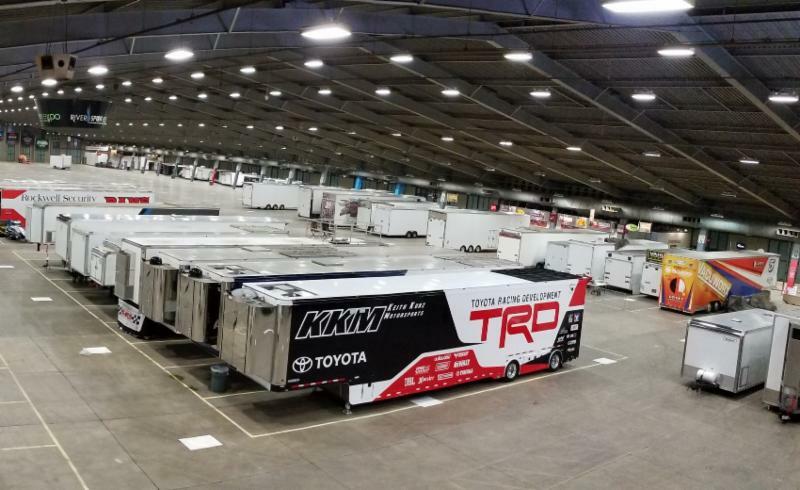 Getting 300 plus Midgets with Trailers, Tools, and Tires is a massive undertaking and in 2019, all teams will begin moving into the River Spirit Expo Center on Saturday, January 12, 2019. Parking will start with the North Wall at 10:00 A.M. (CT). Parking on the main three rows will begin at Noon and go throughout the day. Any parking that is not complete on Saturday will finish up on Sunday, January 13, 2019, starting again at 10:00 A.M.
"We've parked the North Wall on Saturday for several years, and recently started parking the larger trailers in the front of the Pits and doing about a third of the parking to give everyone a little easier day on Sunday but with practice and racing on Monday now, we're going to try and get everyone, or at least as close as we can get to everyone, parked on Saturday so Sunday everyone has time to get unloaded, set up and take a breather before we start racing," explained Chili Bowl Director, Matt Ward. Just like the past couple of years, teams will stage in the west parking lot with officials bringing teams in as their spot comes available. Teams can start parking in the west parking lot on Friday, January 11, 2019. Questions regarding parking can be addressed to the office of the Chili Bowl Nationals by calling (918) 838-3777.